Several unmanned entrances across the railway stations in Kamakhya-Dekargaon route have belied the tall claims of the railway authorities vis-a-vis security measures adopted for the safety of passengers. Tangla Railway Station. Phoro credit: Northeast Now. Indian Railway authority as well as security agencies entrusted to ensure safety and security of passengers and property of the Railway are yet to wake up to the glaring lapses in prevalent security measures in railway stations especially those on North Bank of Brahmaputra River in Assam. An investigation carried out by the Northeast Now in the wake of last Saturday’s IED blast in a coach of Kamakhya-Dekargaon (Train No. 15815) Express near Harisinga Railway Station in Udalguri district, has exposed utter lack of concern of security agencies towards safety of railway passengers. Several unmanned entrances across the railway stations in Kamakhya-Dekargaon route have belied the tall claims of the railway authorities vis-a-vis security measures adopted for the safety of passengers. These stations have become favourite grounds for unauthorised passengers and vendors. 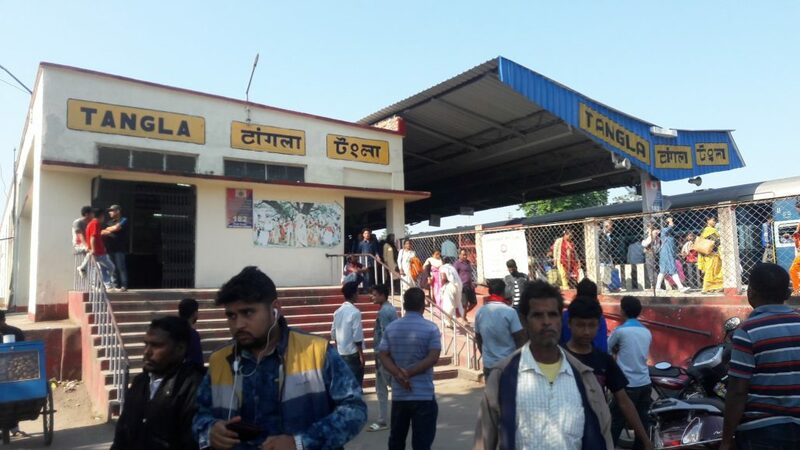 Tangla and Rangapara railways station are busiest besides Rangiya and Kamakhya stations along Kamakhya-Dekargaon route, given that hundreds of commuters travel to and from these stations in daily basis. However, Tangla railway station lacks basic safety equipment like CCTV cameras not to speak of metal detectors or X-ray machines that exposes thereby putting passengers safety at stake. According to Tangla railway station officials, approximately 14 trains carrying about 5000-6000 passengers arrive or depart from Tangla railway station on a regular basis. In the absence of any proper safety measure, the station stands is vulnerable to attacks. He further stated that Tangla GRP station which has jurisdiction ranging from Khoirabari, Tangla, Harisinga, Udalguri, Rowta, to Mazbat, is manned by only a handful of seven constables.